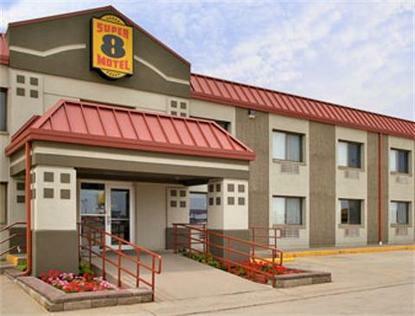 The Super 8 Marshalltown, Iowa is conveniently located off Hwy 30, Exit 185. The motel is located near Des Moines, Cedar Rapids and Waterloo, Iowa. The Super 8 Motel Marshalltown, Iowa is just minutes away from Marshalltown Community College. The Super 8 Motel Marshalltown, Iowa is located near Meskawki Bingo &amp Casino. Other attractions in the area include Adventureland Amusement Park, Knoxville Raceway, Iowa State University, Iowa Veteran's Home, YMCA, Marshalltown Family Aquatic Center, and the Iowa Speedway. The Super 8 Motel Marshalltown, Iowa features Free High Speed Wireless, Large RV/Truck/Bus Parking and Superstart Breakfast.